Convention tells us that research involves selecting a topic, reviewing literature, developing a framework, refining and defining your research question, developing a design, collecting and analyzing data, and drawing conclusions. 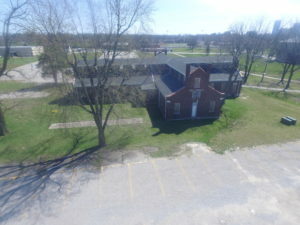 However, at a community college this formality cannot always be used as a rule, but as a guideline for developing a realistic, learning opportunity. Community college participation in undergraduate research is an important part of education, but can easily fall by the wayside to address the life challenges often faced by its students. However, given the opportunity to participate, research can be a rewarding and valuable skill that should be afforded to more students. Bluegrass Community & Technical College participated in a faculty mentored team project grant (no. NNX14AR11A) through the Kentucky Space Grant Consortium, which is a partnership between Kentucky and NASA. I co-led the team project, along with my colleague Cindy Tucker and a group of computer and information technology students in the research, development, and deployment of mobile applications for documenting grant work and in a second project related to drone technologies. Both are topics that our college had limited curriculum exposure to at the time and would require students conduct research and design and develop their own projects with faculty advisors as mentors. 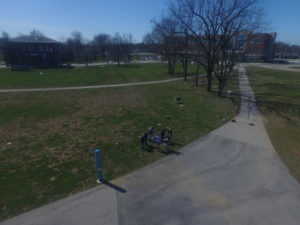 The most rewarding project involved students using drone models to experiment with payloads for transporting materials and to explore ways that drones could be of use to the college. 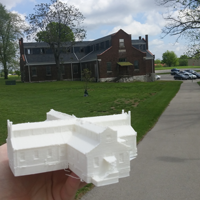 This second endeavor would result in aerial photography of historical buildings on our campus using a drone equipped with a GoPro camera, generating 3D renderings of the buildings from the photos, and culminating in 3D printing the models to scale. Though the projects themselves were involved, and would evolve over time, the real growth was seen in how students learned to develop their own ideas, ask the right questions, and work as a team to complete their research. Watching the students become independent, critical thinkers and learn to work as a cohesive group created students who would be better prepared for transferring to a four-year school or for directly entering the workforce. Watching the students go from wanting every requirement defined for them to developing ideas and being able to confidently present their findings in front of groups, at state and regional conferences, was an unexpected, yet proud, result of the experience. The students were not only more confident in their ability to present before a group, but were excited to share what they had developed and learned. As a result of the research project, students received scholarships and were hired upon graduation, with one student being recruited based on the drone research that had been completed in the NASA project. Other students would continue to grow, with one quickly learning that their skillset now included the ability to clearly explain material, which lead this student to become a primary tutor for our computing program. 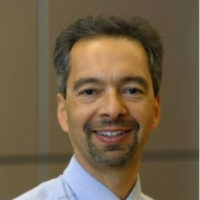 By being involved in this research project, it became clear to me that research conducted at a community college may not always follow traditional methodologies, but it does result in positive outcomes, with one of the biggest results being seeing students grow academically and evolve as they move forward in pursuit of their next steps. As you can expect, there are unique challenges for community college students interested in research. Community college students often take classes on a part-time basis, have a full-time job, and support a family. While some community college students are traditional-aged college students, many are non-traditional older students. Some started at four-year schools only to feel overwhelmed. Others are first-generation college students with little knowledge of what college is like, and another set of students enroll with the initial challenge of having to complete multiple developmental classes prior to taking courses in their declared major. The student population is also quite diverse. The diversity can be very positive for research as there is a rich pool of participants from which to recruit, but this diversity also presents a challenge with getting commitments from students who have so many competing demands on their time and a pressing need to financially support their families. Within a community college, it can be challenging to identify potential student researchers early in their academic career. The challenge is identifying those students who are right for research as not every student will be interested in or have the aptitude to participate in research projects. By their second year, our full-time students only have two remaining semesters to conduct research. The challenge is, How do you recruit students when it is likely that they will have one year to commit to research? Furthermore, how do you pick a research project that students can make progress on while they are still learning what research is and how it is done? The easy answer is that the projects must be smaller and more focused. The projects would likely need to be continued by the incoming or continuing students. One way to guarantee continuity is to ensure that our part-time students be a part of the research. Very often they will be afforded more time at the community college to participate in research, but the challenge is that these are often those same students that are overcommitted outside of school. These part-time students are also often members of our non-traditional population, which often means that they may add an additional dynamic to a research project with their life experiences. The group of students that worked together on the NASA projects were comprised of traditional and non-traditional students and were 50% male and 50% female, something that we felt was important to keeping the group gender balanced. The diversity of the community college population and the limited time with which to connect with students are challenges, but both are factors that faculty are familiar with and address daily. The largest issue is funding. First and foremost, community colleges cannot compete with the larger schools when it comes to funding requests based on the results they can generate from research. The size, complexity, and time required to do research full projects is just not realistic for community college faculty and students without additional outside support. With limits in equipment, space, and time, it becomes necessary to scale back projects and, as a consequence, these projects are less competitive for grants. This funding would need to support the additional efforts of students that will keep them from their everyday obligations and for faculty to support research and develop future researchers. For many students this will allow them to justify the time they are taking to grow at the expense of time they are spending away from their family. There are opportunities for research funding for community colleges, but perhaps the bigger opportunity is to partner with four-year institutions. Such a partnership could create a possibility that students participate in research at both institutions, with the four-year research conducted as a summer project, and the faculty at partnering institutions work together to both develop and ensure continuity in research as we collectively help develop future researchers. As Brent D. Cedja has written, ‘‘Research is teaching.’’ Community colleges and their faculty have the primary purpose to teach, but that does not mean that should be where their involvement stops in the introduction to and development of students to research. Through teaching, students learn to be active learners, ask questions, and engage in the discussion in the class. Melanie Williamson is an assistant dean and professor of computer and information technologies at Bluegrass Community & Technical College in Lexington, KY.
 Cejda, B. D. (2009). An Overview of Undergraduate Research in Community Colleges. Washington, DC: Council on Undergraduate Research.